Commuters will have to find alternative ways to cross the river whilst Tower Bridge is closed for essential works. The 122-year-old Thames crossing will close to traffic from October 1, until the new year, to allow maintenance work to be carried out. The closure will allow for the resurfacing and waterproofing of the road and the replacement of the timber decking underneath. Other maintenance will include removing rust and work on the iconic bridge's lifting mechanism, regularly used to let large boats pass. The Victorian landmark is used by around 21,000 vehicles every day and motorists are being directed to use Southwark Bridge southbound and London Bridge northbound. 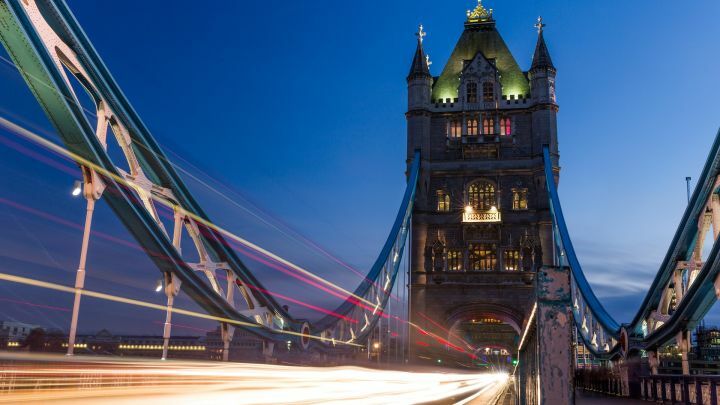 Tower Bridge is just outside the congestion charge zone and vehicles following the signed diversion through the edge of the zone will not have to pay the £11.50 daily fee. Cyclists have been advised to use a route opposite to the drivers' diversion - traveling northbound on Southwark Bridge and southbound on London Bridge during the closure. Pedestrians will also be unable to cross Tower Bridge on three consecutive weekends, beginning Saturday 26 November. A limited free ferry service will be running on those weekends, while alternative routes and walking maps will be available. The Tower Bridge exhibition will remain open throughout, with views of the maintenance work on offer from the glass walkway. The plan is a joint venture between the City of London Corporation, which owns the bridge, and Transport for London.